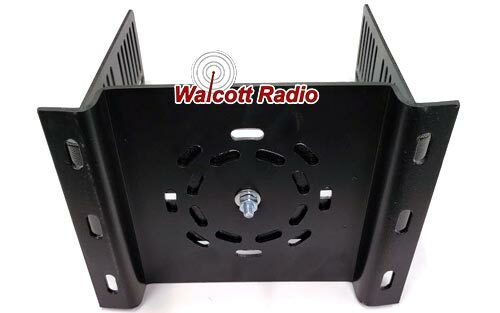 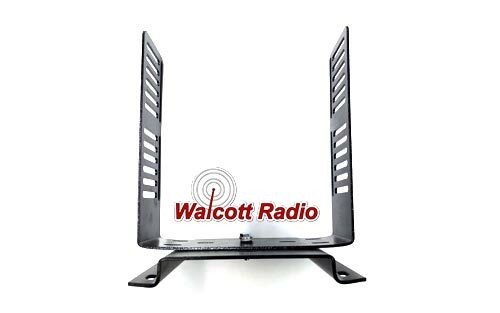 This large, heavy duty mount, is designed for floor mounting 10 meter radios inside a vehicle. 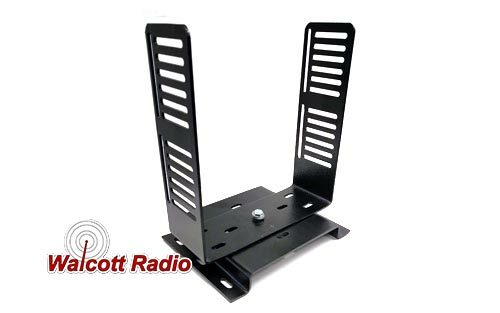 Can be used with either two 10 meter radios (roughly 7 7/8" wide) stacked on top of each other, or with a single 10 meter radio mounted high off the ground. 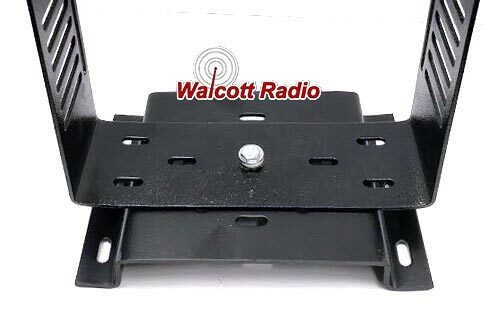 This combination package includes the DXXX extra long bracket and BXXX mounting base as well as the swivel bolt to connect these two parts together. 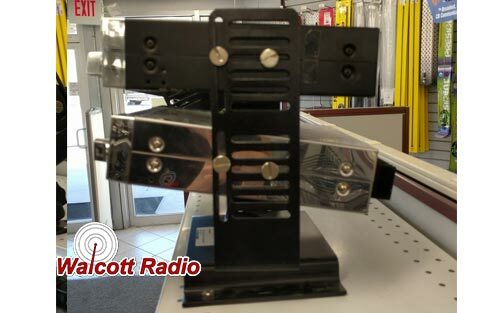 Screws/Bolts for securing this mounting system to your vehicle are not included. 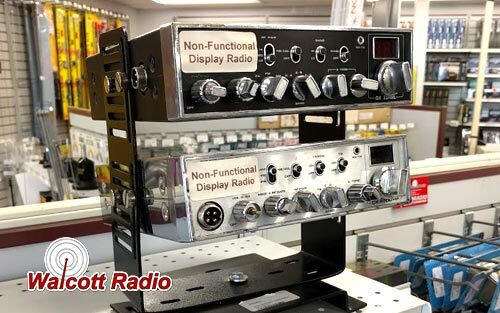 The DXXX is designed for people needing to mount multiple radios in the same bracket. 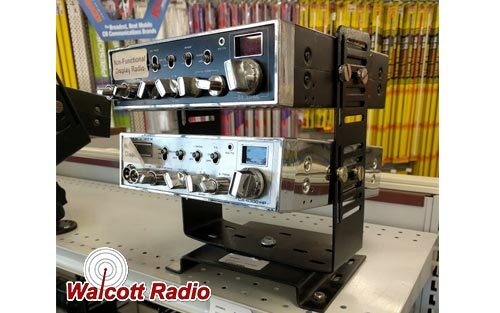 Due to the extra length you can even mount the radios at a 45 degree angle making it easier to see the faceplates. 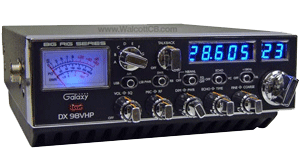 Works with most amateur radios and larger chasis CB's such as the Cobra 148 or Galaxy DX959. 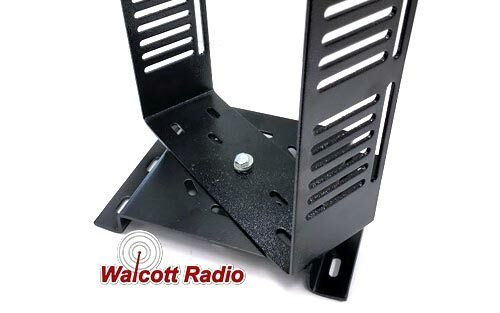 The BXXX is a heavy duty pivot mount designed to hold multiple radios 7 7/8" wide. 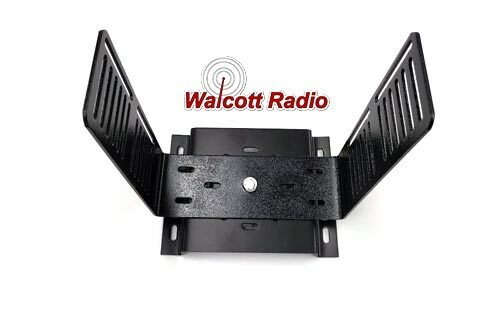 The base has multiple slots so that you can pivot the top bracket into a convenient position for your installation.